As Seen on Diners, Drive-ins, and Dives! Hi, Moudi Sbeity here. I moved from Lebanon to Utah in 2006 to pursue my education. I had the good fortune to meet my now husband, Derek Kitchen, who is from South Jordan, UT. Together, in our first apartment in downtown SLC, we started making hummus and selling to our colleagues and friends, and eventually at the Downtown SLC Farmer's market. We soon started selling at grocery stores in the valley, and before we knew it, teaching cooking classes, catering, and hosting events. 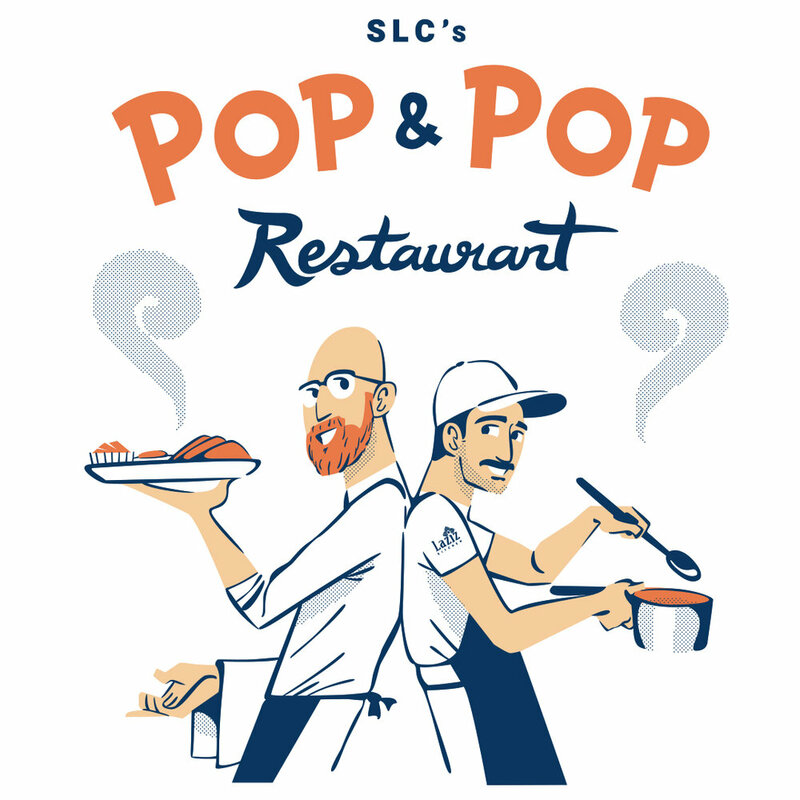 In a turn of events, we found ourselves in the center of the fight for marriage equality in Utah, and as a result, had the opportunity to build deep and meaningful community connections, which would later encourage us to open up a restaurant. So we did! We heard of new development going near our home, got in touch with the architects, signed on to the space, and blindly went head first into our first restaurant. Coupled with Derek's involvement in elected office, Laziz became more than just a place to eat, it became a place of community. America is a melting pot of cultures, food, languages, and just about any kind of characteristics you can imagine. It's a kitchen sink of flavors, and we think its damn beautiful. When Derek and I decided to open up Laziz we were very conscious of where we are, and where we came from. While we serve a lot of traditional Lebanese dishes and flavors, we also serve a variety of foods and plates that we personally enjoy, a reflection of our likes and our community. Our beliefs, our values, our love for Salt Lake City and beyond is all present not just in our food, but our design, our team, and our customers. For that, we are thankful. We see Laziz beyond a restaurant - it's gathering space of acceptance, good food, and love. We are proudly queer, we hire refugees, and we have an open arm policy to anyone that walks through our doors. And above all, we value the right to not only eat in a place that you love, but work in a place that you love. This is the communal strength of kitchens - they serve as a building block for our community. It's around the proverbial kitchen table that we share our most intimate stories, where we foster a sense of belonging, where connections of trust are built. We're honored that you've gathered around our table.